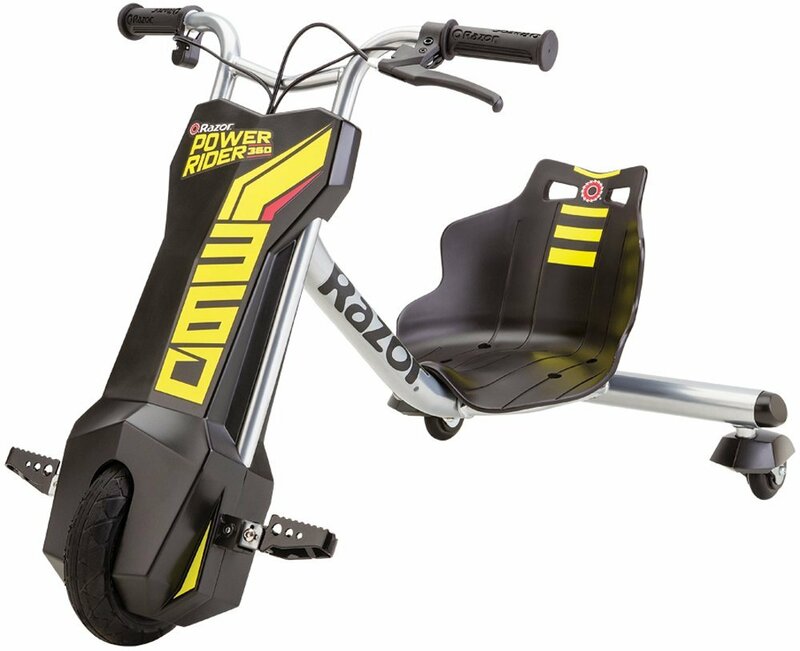 This is the summary of consumer reviews for Razor E300S Seated Electric Scooter. The BoolPool rating for this product is Good, with 3.90 stars, and the price range is $220.00-$270.00. Satisfied customers appeared to have bought this model for younger children aged between 9 and 14 years old. Customers were pleased with the minimal assembly required, and they were impressed by the speed. The brakes were quick and reactive which should put worried parents at ease. 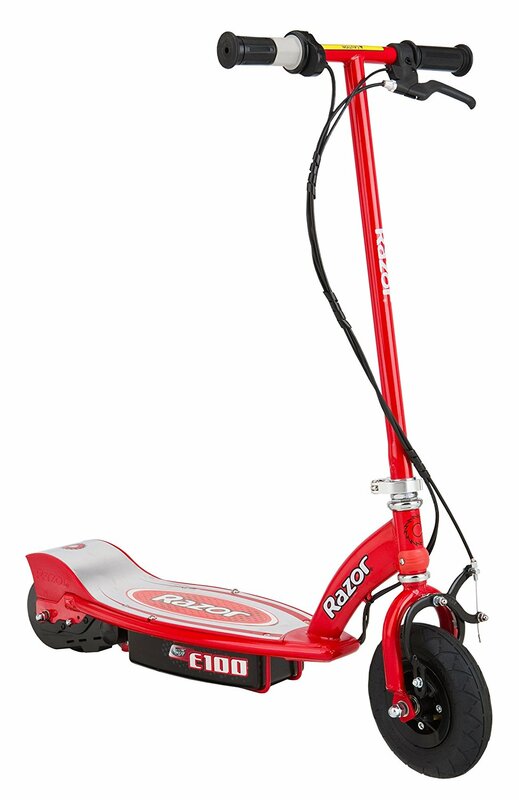 Based on the Razor E300S Seated Electric Scooter’s price, makes it an ideal toy to last long enough for the child to outgrow. 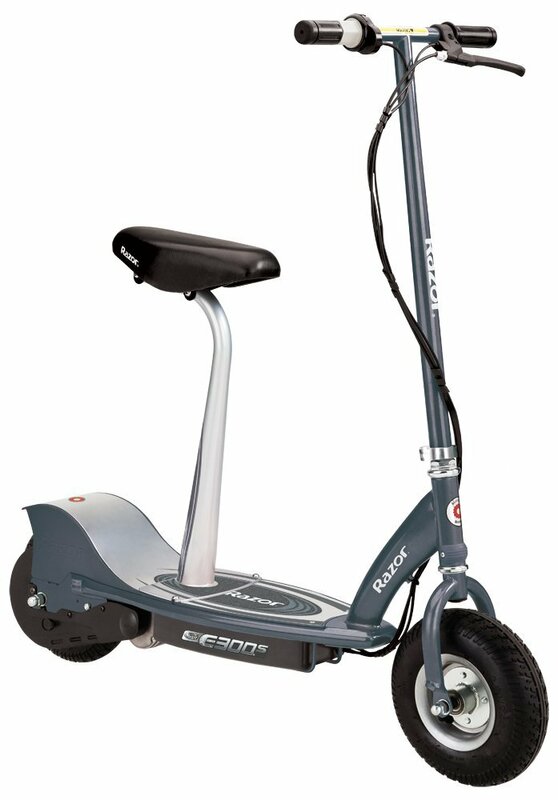 The reason the reviews suggests the Razor E300S Seated Electric Scooter is great for a lighter audience is based on the complaints from adult riders. Many noted they needed to push the scooter up hills and dragged at times in speed. The same reviewers also commented that they weighed between 180 and 220 pounds. Consumers also noted that the battery loses its charge after repeated charging. Furthermore, there were various complaints that the Razor E300S was damaged upon delivery. 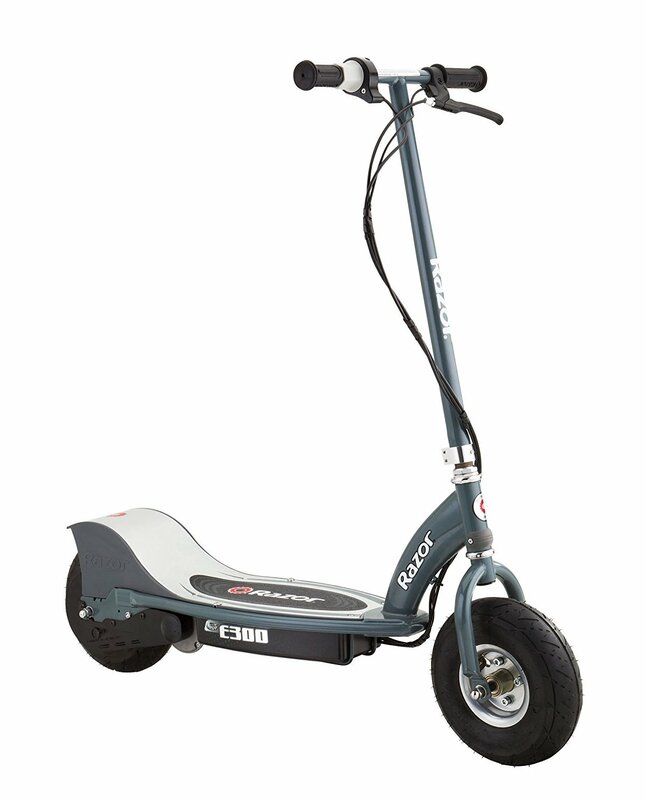 All in all, the Razor E300S Seated Electric Scooter makes for a great gift for the young adult or the older child. Its price won’t break your bank, and the kids will have a blast zipping down the road. The rear tire continues to go flat. The first day, the rear tire went flat. The tire went flat and came off the wheel. To access the tire, you've to remove the rear tire assembly. All was great til the rear tire went flat in 4 weeks. Followed the directions to put air in the tire but the tire itself fails since the valve isn't accessible when the tire is flat. The valve extension is needed to inflate the rear tire, but it hasn't been needed yet because the tires were shipped inflated. I weigh 175lbs and zip around on a mostly flat, smooth surface for short duration uses; so I've not had any problems draining the battery. Bought this for my son as a Christmas gift. Son received for Christmas 2017. Although the box was dry at time of delievery, it iobviously was soaked at one time. Taking off the seat is tricky the first couple of times but after that, it easy. The seat is thick and is definitely good for 45 minutes at a time. There was zero packaging to protect the box it comes in so the scooter that we bought at the same time for our son (also an e300s - blue) was damaged. I paid for extra fast delivery which was great but someone should have pulled this item and sold as damaged. it got up to the "15 mph" about the first time we used it, also says 45 minutes of continuous use, yet they dont say that towards the last 20 minutes or more you're lucky to go 5 mph. This model also comes with a seat but my daughter enjoys it better without the seat. 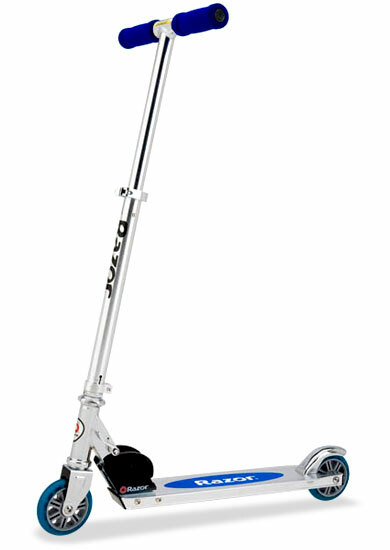 I'd recommend this scooter for hours and hours of fun times!. We bought this for our 11 year old son for Christmas and he loves it (so do I). It said weight limit is 220 lbs. It's a weight limit of 220 lbs? Its says 220 lbs NOT TRUE THE WEIGHT limit is only 154lbs. Plenty of power but lacks speed depending on the weight of the rider. It's powerful enough to carry a 200 lbs. It's weight limit is stated at 220lb, but at 160lb I've to get off and push it up the hills. Enough power to go up hills. Due to my weight and some hills it'll only go about 3 miles on a full charge. I brought this from walmart.com for my daughter based on the weight limit in product overview. I myself who weigh 168 lbs found this scooter to be quite a powerful little scooter and perfect for my size (I'm 5'8"). Even my 13yo son who weighs under 100lb can't get it to climb a reasonable hill. The brakes work really well. The brakes also work really well. Love this, works well, lasted for years now. Amazon had the best price and it works very well. The brakes work really well, and can stop quickly and efficiently. 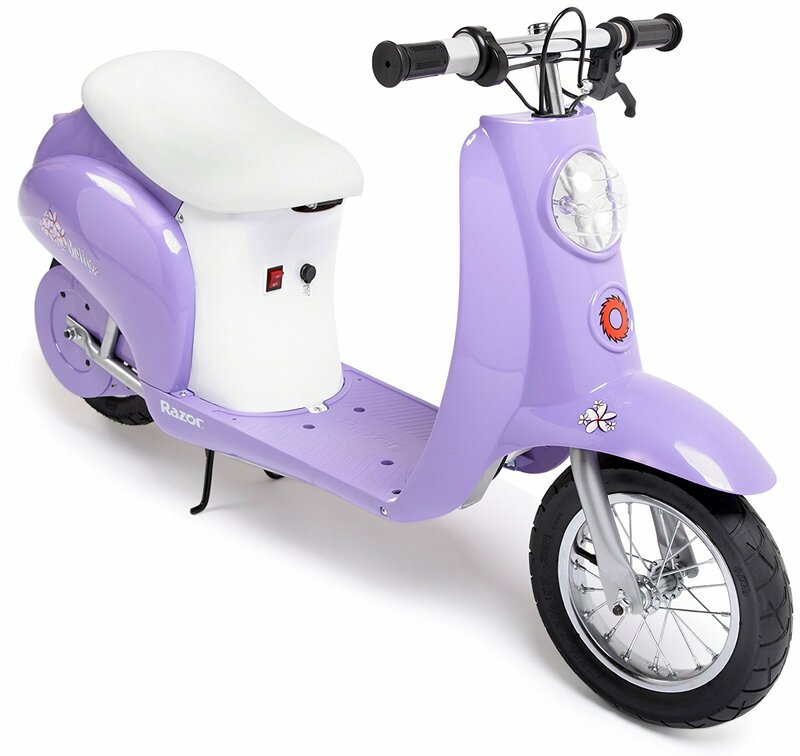 My granddaughters are 12 and 16 and the scooters work wonderfully for them, well after I recieved the working one!. My son really enjoys playing with his scooter and it seems to be well made and is working as expected. Several other reviews here mention this, but I'm just disappointed with how weak the motor is. 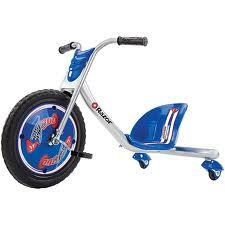 It works well on flat ground, and is comfortable to ride. I kid my wife about using this to go to work as she works about 1.5 miles from our house. 15 miles an hour feels dreamy; I did side streets and bike lanes and got to work pretty fast. The little motor had to work harder for him, I guess. Miss Missy love her new ride. Pretty quiet smooth ride twist-grip throttle with speeds up to 15 mph( well not if your a heavier adult like myself 185lbs) there's definitely a difference in speed when he rides it and then when I ride it. My kids just received these last Dec (Christmas) and hardly ever ride them. She'd so much fun riding her scooter. I bought an UberScoot 1000 Watt scooter at the same time so I could ride with my daughter. And we even ride it. Battery life is pretty good not amazing but it'll do the job description says up to 40 min ride time thats about accurate but I did find that over time the scooter started dying shorter then when he first started riding it which is a concern due to the fact that some other reviewers that state the battery will die out after about 200 charges. I forgot to charge it last night after riding it. There was minimal assembly out of the box and after the initial charge, we were off and riding. I keep it inside when not riding, due to high theft item. I've been careful with the battery charging, trying not to let it charge for more than 24 hours at a time. So far, I have seen no decrease in battery life on either model. I've been careful with the battery charging, trying not to let it charge for more than 24 hours at a time and so far have seen no decrease in battery life on either model. The 40 minute use of battery charge isn't very friendly. I wish the battery lasted longer and charged faster. Negatives-Super long charging and short 40 mins drivable. 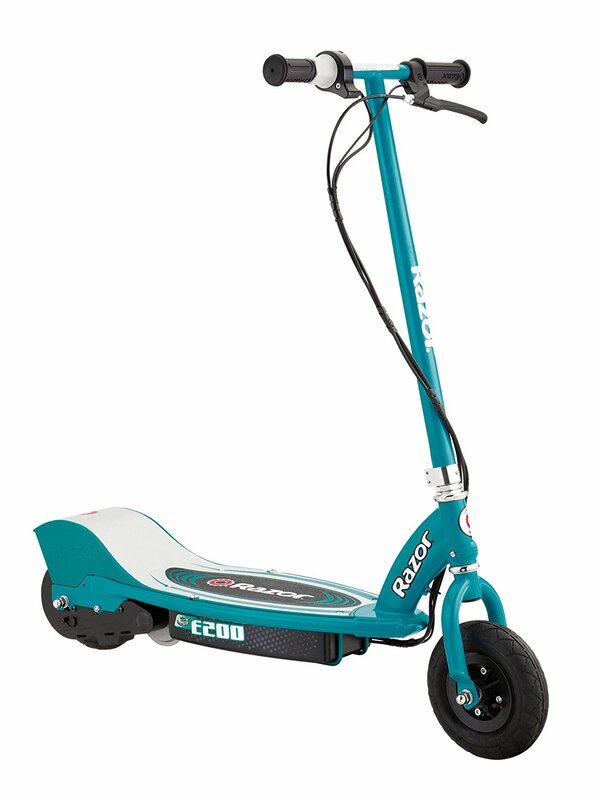 this scooter is nice and fun but the battery started to not hold a charge not to long after we got it. These scooters are junk, battery takes hours to charge and dies in 20 min. I'm still charging the batteries but I did give the throttle a twist. From what I've read it suffers from short battery life (not run time, but total cycles), memory affect and even the manual says you must be especially careful not to over charge. The battery charge that was already on the battery when it was shipped was strong enough to let her ride the scooter all afternoon without it running down. They're a little slower of course, but they really seem to last long with their battery life. Seat and mount are removable. Seat and mount are removable (yet to fit it) as she loves it without. Children in neighborhood loved and wanted to ride. He can't sit on the seat and ride by himself. Easy to ride and control. My 10-year-old son is a perfect fit for his and my eight-year-old daughter is just big enough to ride hers without the seat. 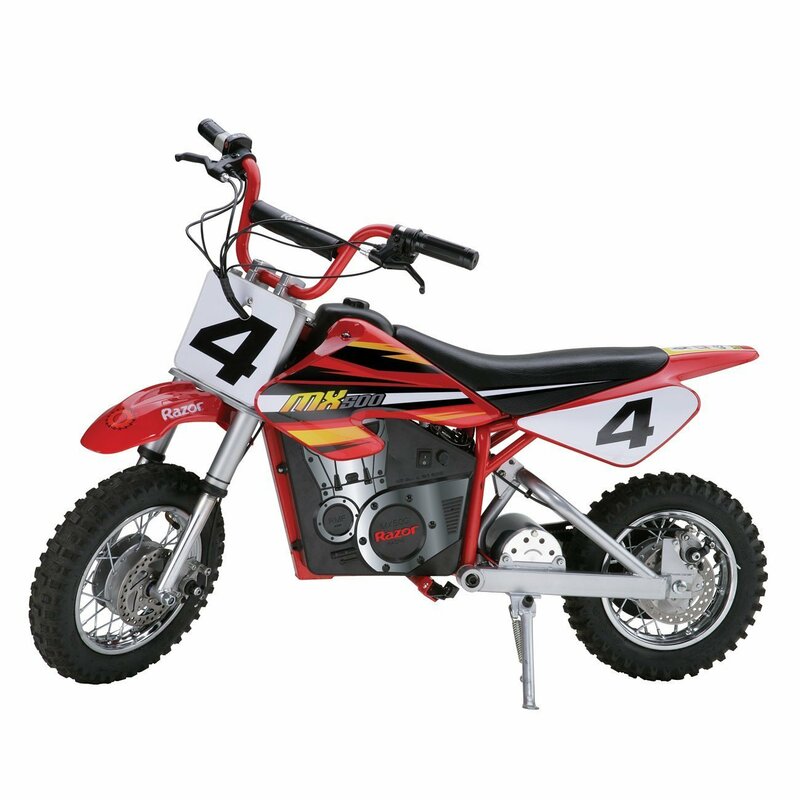 This model is by far the best, it's fast and easy to ride and the seat is a huge bonus. She loves her pink scooter and the seat is way more larger and comfortable than any EZip model. But for a seat to work, I expect "This seat is awesome." Our 8 year old son loves this.